Large home first time on the market. Wonderful View, large back yard including a Screened in Patio. Single story! Brand new roof, garage door & exterior paint. New hot water heater and newer furnace. Big family room and huge Living Room. Oak wood floors. Newer vanity and toilets in the bathrooms. Larger bedrooms than most homes in this area. 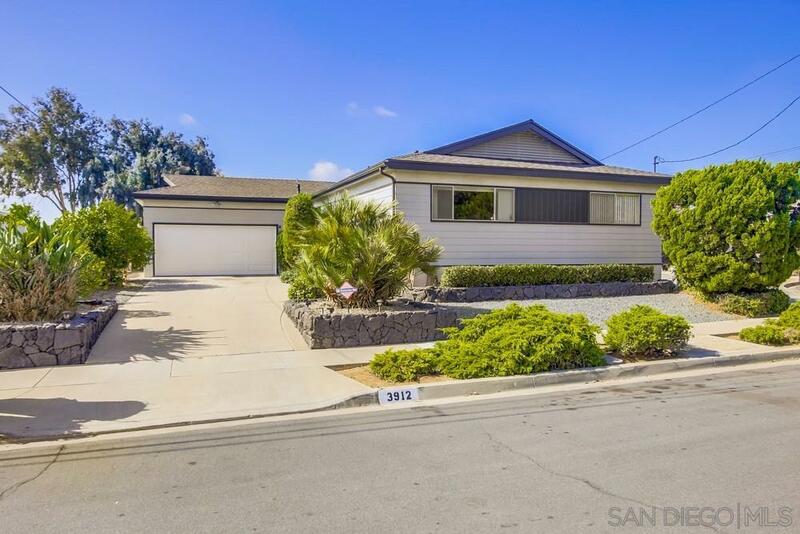 With some updating (your own finishes) AND on a quiet Cul de Sac AND so near to SDSU, this house is a jewel of a property. Perfect opportunity to secure a view home.